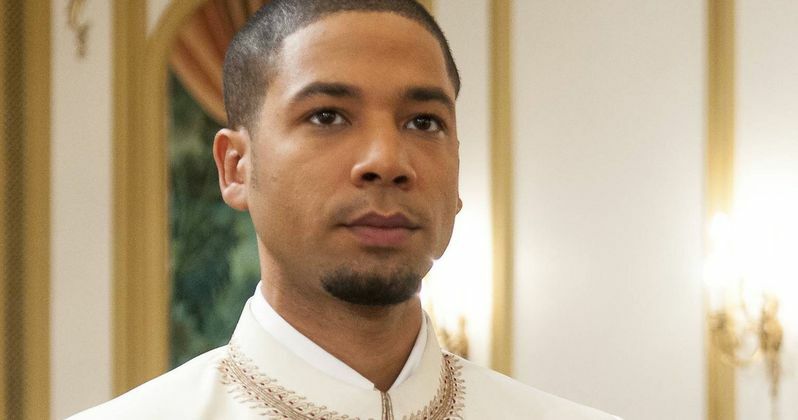 Looks like Empire star Jussie Smollett may get his day in court after all. In the most recent turn of events surrounding the actors off-screen shenanigans, the City of Chicago filed a lawsuit demanding Smollett pay up on $130K they say he owes them for investigating his hate crime. The crime, which the cops have concluded was staged by Jussie himself, included a fake beating, some racial slurs, a Donald Trump MAGA reference and a rope tied around his neck lynching style. While the elements of the supposed crime do make for good theater in an actor's mind, the whole story seemed to melt apart under the hot light of scrutiny shined directly on it by Chicago Police. Now the City wants Jussie to pay up for the rabbit chase. The city's mayor, Rahm Emanuel seemed to get real mad at the end of last month when Cook County prosecutors set the singer free. In a baffling move, while saying they believed they could prove the charges that Jussie Smollett filed a false police report, making his whole ordeal up, the prosecutor's office decided it wasn't worth the time and expense to bring the case to court to find him guilty. Smollett then agreed to give them the bond he posted to get out of jail when he was first arrested on multiple charges including making a false police report. The amount of bond he forfeited to them was ten thousand dollars, so some people said he just bought his way out of the whole thing with his privileged Hollywood money. Then the mayor got hot. Rahm Emanuel called a widely viewed press conference where he blasted the decision to let Jussie off the hook, calling it a "whitewash" of justice. His passion for Chicago came through him as he ripped the proceedings saying he would not let this happen in his beloved city because people here "just don't act that way". A few days later the mayor announced to the world in a publicized letter to Jussie that he wanted Smollett to reimbursed the Chicago police department for the effort they put forth investigating the staged Hate Crime. Jussie ignored the letter from the mayor. He was seen publicly when he floated into LA the week of the NAACP awards. He was Nominated for Best Supporting Actor but he lost. Barraged by questioning reporters at LAX on his way into town, Jussie had no answer as to whether or not he was going to settle up his bill with the City of Chicago. Rahm got tired of waiting on Smollett to give him an answer. Today City officials filed a case at the county courthouse. The court documents do not state the specific amount demanded by the city, but it does say it will cost Smollett over $130,000 when it's all over. Jussie got paid well on Empire, about $20,000 a show, so he can probably afford to buy this whole thing off. In this day and age, who knows, he may be able to just start a gofundme account and end up making money when it swells to well over two million in his support. This word comes by way of the Hollywood Reporter.